I know that being able to create and write books is a huge privilege. It really is a dream come true. You have and idea, you jot down some potential projects and then….then the reality hits you, it’s kind of a responsibility. Oh my, will I be able to think of enough ideas? It is then, in the middle of the night…the wee small hours that the projects come to you. 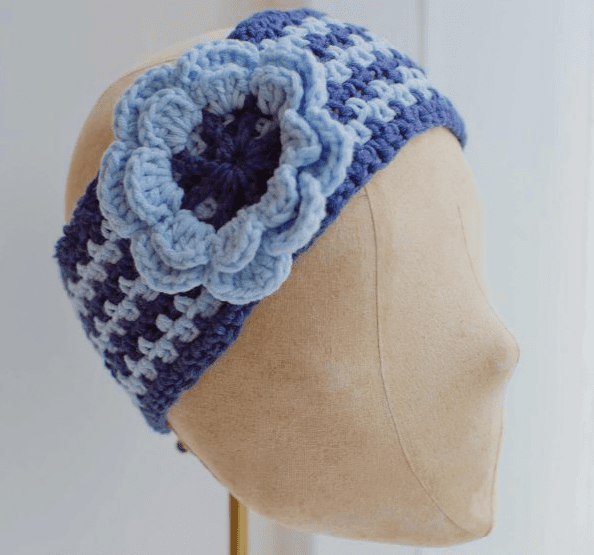 When I was putting together a list of project for Granny Square Weekend, you might be surprised to know that some projects actually didn’t make the final cut. We had too many. With this book I wanted to make, recreate and write down all those staple patterns I use on a regular basis. This is like exposing my secret stash of go-to makes which I use regularly for gifts and ‘thank-you’ pressies. I’m going to be honest; I have three versions of the Boho bag which is on the front cover. These get used constantly in the summer. I have about 4 version of the sunglasses case; (mostly because I have a small sunglasses obsession). The is a different coloured version of the headband in every outdoor coat I own. If you follow this blog regularly you will know how many cowl scarves I own and wear regularly. You will also know that I have long championed the concept of the ‘lazy-edged’ blanket. Perhaps I have revealed too much, but this book really is like opening up the crochet part of my head and emptying out all my crafty wisdom. If you love patterns I think you will be pleased, but don’t just flip through to the instructions. One of the joys of working with my glorious editor, Wendy is that she allows my voice to come through in the text. There are lots of my top tips and tricks embedded in the chapters. I really do hope you like this book. I so love the way it looks and the fact I have been able to capture all my favourite projects for you. This weekend I am running an exclusive ‘GIVEAWAY’ from now until 6am on Monday 23rd April 18. Please leave a comment below telling me what your favourite crochet project is then you will be entered into a giveaway for one lucky person to receive a signed copy of the book. Congratulations Kate – you were the number which I randomly picked out. Thank you all so much for leaving your lovely comments. I adored reading them so much. I love making Animals to give to my grandchildren and blankets for their parents, whether they want them or not! Gifts are usually well received, especially handmade with love gifts! 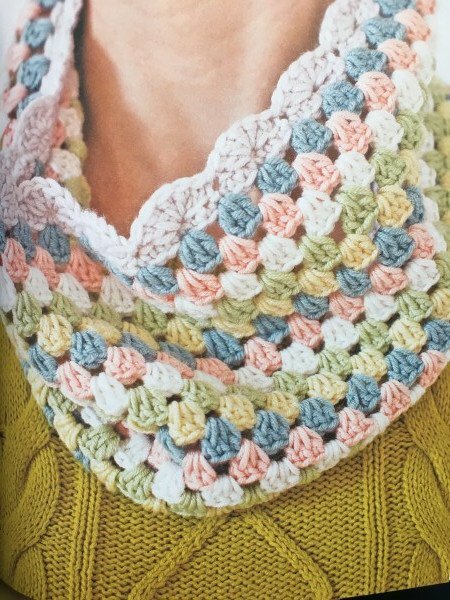 I live in Germany and my English is not very good, but I can read and understand English crochet patterns! I love making all things crochet, whilst doing one project I’m already planning the next one! 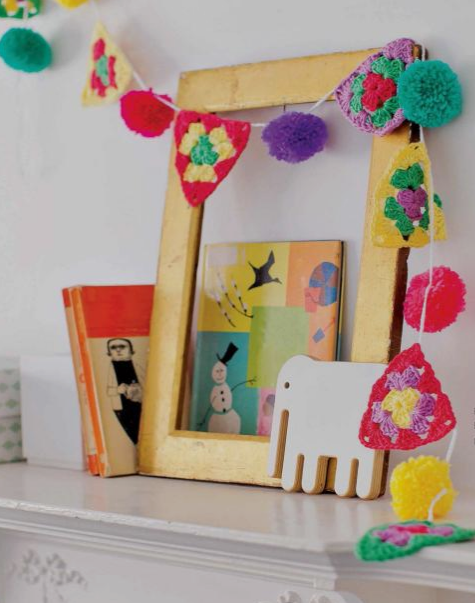 I particularly like making crochet animals, dolls for small children and blankets too. I would love a copy of this book for more inspiration. My favourite thing that I have made is my rainbow & grey striped blanket. It’s lovely and colourful without being too crazy! I bought your cute crochet animals book last year and fell in love with all the characters but my absolute favourite was Emily the Rabbit. I made it my 4 year old niece for her birthday and she adores it, goes everywhere with her including on the car to school. I love making scarves and hats. They work up quick so I feel like I’m accomplishing something, and they make beautiful gifts! I love to make blankets, either from squares or stripes. I’d like to try making garments! Blankets and shawls are my favourites, with a bit of amigurimi on the side. 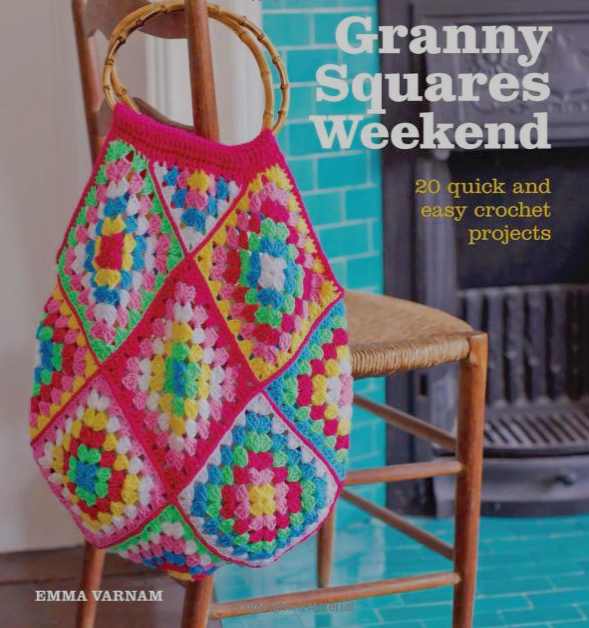 Love the versatility of granny squares, I’d love to win a copy of your book. My favourite makes are shawls and blankets. Would love your book for some new ideas. Ooh it’s so difficult to pick! I love the bunting I made from your Granny Squares Home book so can’t wait to make the new one in this book, but i’m also making the blanket, and I really want to make the bag in your new book now!! Oh it’s too impossible to pick!! I give up, all of them! I love to make home decorations (blankets etc.) And scarves and shawls. The projects look amazing. I enjoy making blankets, but I’m loving the bag on your cover. I’d like to make that soon! Hi Emma, I like that bobble hat, even though it’s not quite the weather today! I love making blankets and toys. This book looks lovely! Blankets definitely. Currently making a mandala madness one but your designs are giving me ideas for future projects! I love making blankets from fairly plain to really fancy ones and one of my favourites is the one in your book Granny Square Home (my husband gave me the book for Christmas) as I really like the colours. 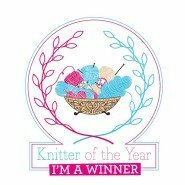 I would love to make the bag on the front of your new book, it looks fab! I returned to crochet after many years by making stripy blankets but , this winter, have loved making fingerless gloves and scarves for family. I have found that smaller projects keep my interest alive. I would love to make more bags so look forward to using your book. I like to make scarves, shawls and cowls. I’ve been learning for only a year and so haven’t tried much else yet but I do also like granny squares and how versatile they are. Your book looks lovely. 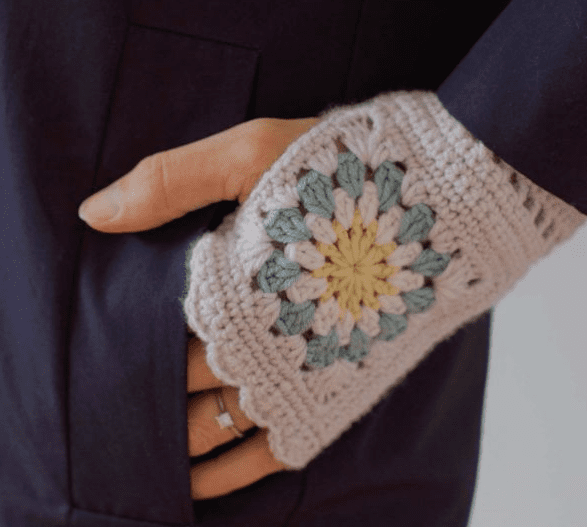 I like crotcheting lots of different things to give as gifts including fingerless gloves, and would absolutely love to make the granny square version in your new book! 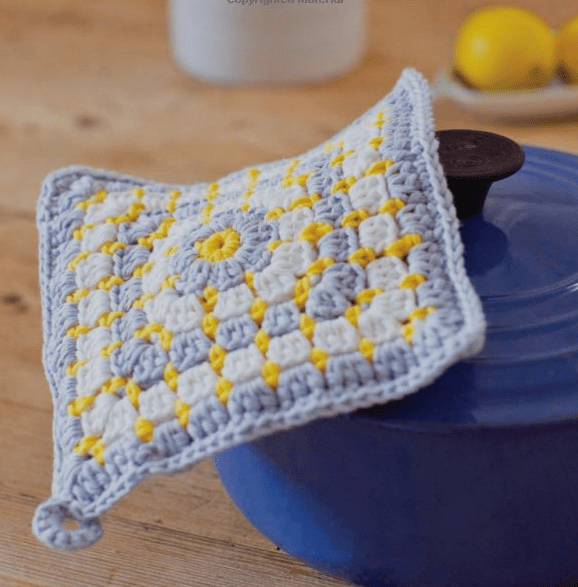 I was excited to receive your ‘Granny Squares Home’ as a birthday present recently and am about to make the caddy from that. 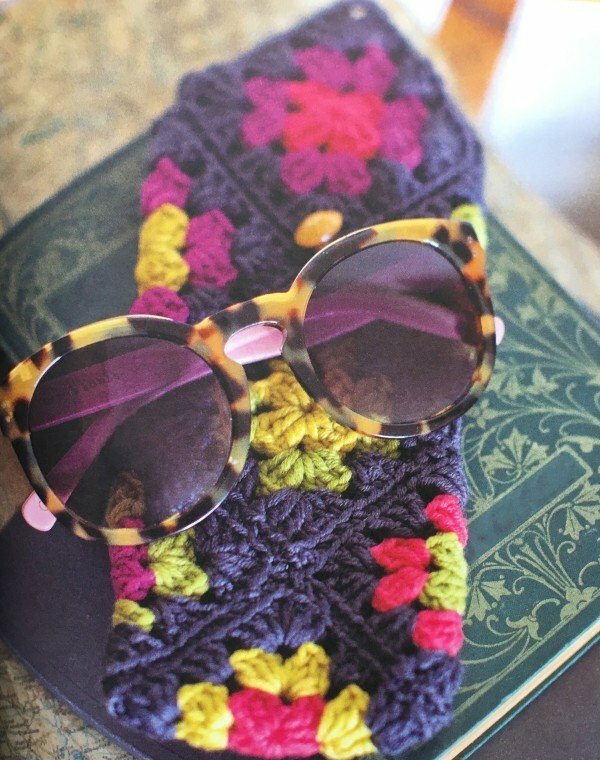 I especially love granny squares! The shawl that I made before my son was born. It was used by him and his sister and by her children (my grandchildren). I really love that headband, Emma! Hands down it’s making other people blankets. Then I get the pleasure of seeing their faces when I give it to them. Another unexpected bonus is seeing them pop up on Facebook in photos as sleepy children snuggle in them, babies lie on them to play, they’ve been taken on planes all over the world, made into dens or are just glimpsed on adult friends and family members’ beds. It’s a lovely thing to make such practical gifts. I made a blanket (and several toys) for Cats Protection, I always think giving is better than receiving! I love the cushion! I’m doing well with blankets so I think it’s time to try something I can keep on the sofa all year round! Would love to win the book looks amazing! I love the boho bag and would make one each for myself and my daughters. I absolutely love the bag and hat/cowl set! Its great to see a new modern twist on traditional grannies! My personal favorite things to crochet is amigurumi and triangle scarves. Ive made so many! So stylish and its amazing how you can change a look by what yarn you choose! I would love to win a copy of your book! 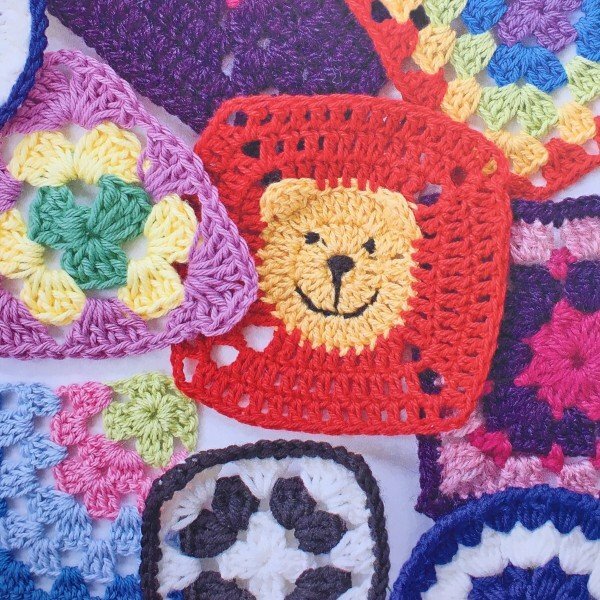 I’m pretty new to crochet & would love to make a granny squares bag in lovely vibrant summer rainbow colours! I love making scarfs, cowls, baskets and small animals! I’d love to win your book, it looks to be full of lovely patterns! I love to make blankets. At the moment I’m working on 3, amongst them a scrappy granny square blanket. Using all my Stylecraft Special dk leftovers. I just Love to crochet!! 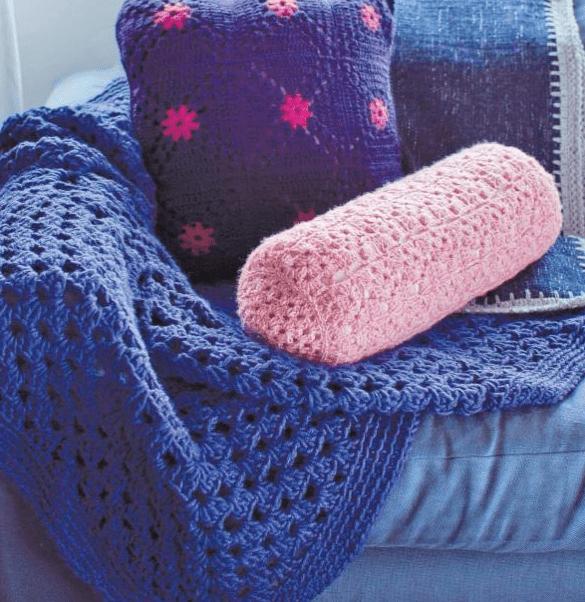 I love blankets, scarf,, and Granny squares we may havê a wonderful works!! Thank you!!! I love making shawls and blankets. Your book looks fabulous – so many things I’d love to make! They are all beautiful. Congratulations on a fantastic book. I love the fingerless mitts! I love the bag in the first pic, so colorful! But my heart lies in the quick and easy projects, so the headband and the sunglasses case will probably be the first patterns I try! 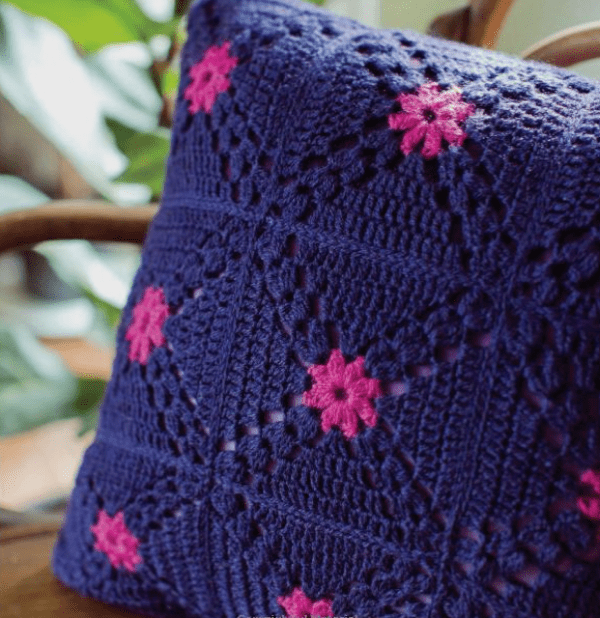 My favourite projects are mandalas and colorful hexagon granny blankets. 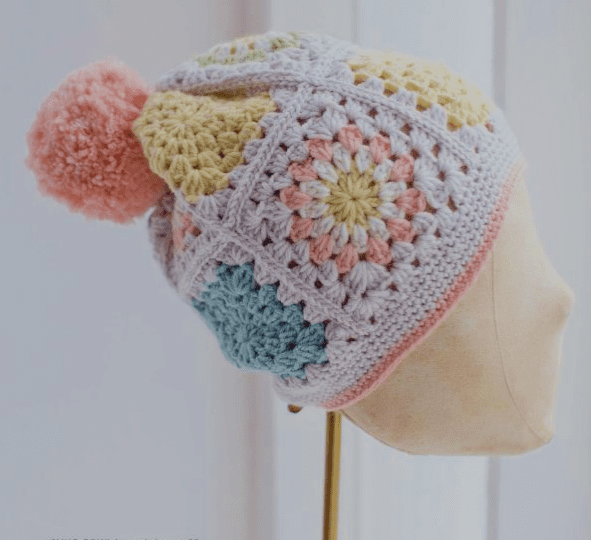 My favourite projects are hats & handwarmers, as well as small items of decor for the home.